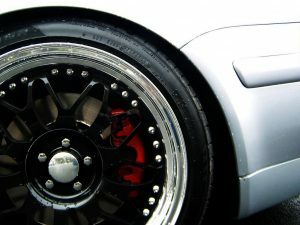 Typically, you only see the brakes fail in action movies or YouTube videos. It’s frightening to think that it could happen to you while you’re driving in heavy traffic on the interstate. Brake failure doesn’t happen often, but when it does, it’s an extremely scary and dangerous situation. When you’re driving, things tend to happen very quickly, especially accidents and emergencies. It’s important to know how to address the emergency even though it might never happen to you. Don’t let your nerves get the best of you. Remain as calm as possible. When you notice the brake failure, quickly pump your brakes to try and use any residual pressure. Turn your hazards on to let other drivers know you’re in distress. Manuals and automatics alike: shift to a lower gear. Let wind resistance and drivetrain friction slow your vehicle down. Use your emergency brake to control the brakes. If you have an emergency brake handle, keep the button on the end pressed down so the wheels will not lock up. Smart Driving suggests that you use the parking brake gradually, because a sudden tug on the brake could lock the wheels and lead to loss of control. Carefully pull your car off to the side of the road. Focus on your steering. If your car still isn’t slowing down quickly enough, Safe Motorist advises looking for something to rub against: a fence, guardrail, or bushes, for example. Try to pick something that will give way when you hit it to reduce damage to both the car and to you. This should be used as a last resort, and you should never hit head on. Once you’re safely pulled over and stopped, shut your car off, and call a friend to come pick you up. Total brake failure is rare, and most vehicles come equipped with dual circuit brakes. Dual-circuit brake systems are a safety feature; if one fails, the other still operates. The idea of losing your brakes while driving is scary. To prevent this type of emergency, Esurance suggests getting your car in for brake-system inspections as they can uncover all sorts of problems. Look to your owner’s manual for recommended brake maintenance information. Maintaining your car can go a long way toward avoiding the emergency of brake failure. In our next blog post, we will guide you through another pedal emergency—when your accelerator sticks.